Thank you Allergic Foodie in Suburbia for nominating me for the Liebster Award! It has been great getting to know you in the blogging community! 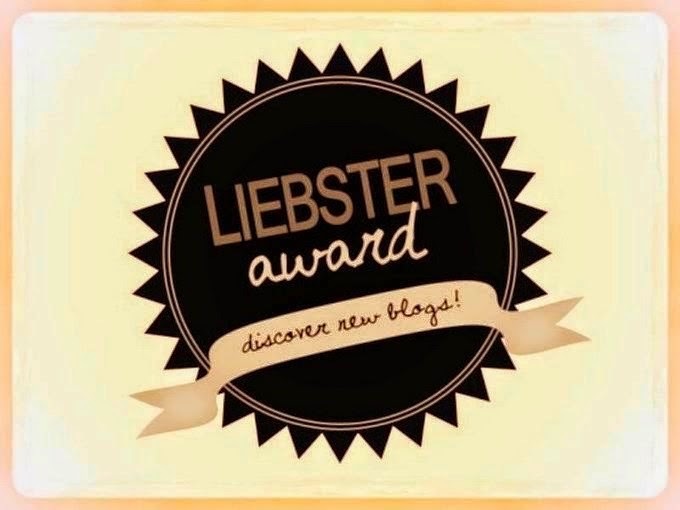 A Liebster Award is given to new bloggers by other bloggers to help promote their sites. I had to look up what the official “rules” were and found that there are different variations. In this case, I need to post a short Q & A about myself, answer questions that were given to me, pass the award to bloggers who have under 200 followers, post questions for them to answer, and notify them they were nominated. Eating! Cooking, running, taking pictures, and yoga. I recently joined a yoga studio and I absolutely love it! I also enjoy reading recipes, blogs, and Food & Wine magazine. Don’t wear Birkenstocks! They never fit me right. I don’t know why I continued to wear them for so many years. My right hip, knee, and ankle are completely off alignment. Somewhere tropical and serene: Tahiti, French Polynesia, Bali… I feel relaxed just listing those places. I am super passionate about food and wanted to have an avenue to share that passion with people in the food community. As I was trying to come up with a direction for the blog, my diet and lifestyle had to drastically change. For example, now that I am living yeast-free, I won’t be writing a post about my experience at a newer pizza bar (Krust) or a local brewery (Relic). However, I am still going to share all the delicious food that comes my way. In addition, I hope to be able to connect, learn, and share stories and recipes with others who are going through similar issues. What are your favorite sites to go on? I love Healthful Pursuit. Leanne is amazing! She is a holistic nutritionist and her site has so many recipe ideas for all kinds of food allergies, sensitivities, and lifestyles. Everything she makes looks absolutely delicious, I want to make all of it. Completely unrelated, I am always on Spotify. Does that count as a site? I don’t know how I got through the work day without it! Who are the top bloggers you follow? Besides Leanne, I follow Stephanie Eusebi, Living Yeast Free & Loving Yourself, my friend Jamie at Candy Stilettos, and Allergic Foodie in Suburbia of course! What are your favorite sites to visit? What is the one food and/or meal you enjoy most? Have a great Memorial Day weekend everyone! !